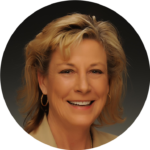 Paula is a seasoned energy consultant who has been selling energy management solutions in the Fort Worth Texas area. Prior to joining Muirfield Energy, she worked for MidAmerican Energy for 5 years as an Account Representative. Prior to entering into the energy industry, Paula worked for Ricoh and Danka selling copier / document management solutions. Paula is Captain of her soccer team and was voted the most inspirational player. Her hobbies include camping, hiking and running. She is also an avid Dallas Cowboys & NASCAR fan. In 1992, Paula obtained her Bachelor of Science Degree with a major in business from Kansas University.